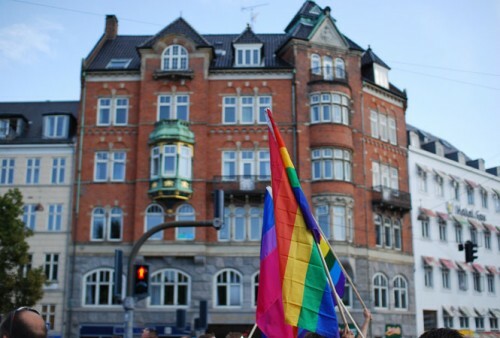 While the American ambassador’s reception was previously a highlight of the Danish LGBTQ pride festivities, this year Danes are publicly snubbing the event as a protest of the Trump administration’s nonstop attacks on LGBTQ people. Former ambassador Rufus Gifford, a gay man, hosted the annual celebration during the Obama presidency when an invitation was the hottest ticket in Copenhagen. This time around, even Copenhagen Pride is refusing to attend. Trump’s ambassador, Carla Sands, has inherited a difficult position when it comes to LGBTQ rights. While Gifford was Obama’s unofficial “ambassador to the gay community,” the Trump administration has been actively hostile to LGBTQ people. The Canadian, British, and Australian embassies are co-sponsors of the event this year. The reception wasn’t held last year since President Trump had not nominated an ambassador. “It can easily sound pretty hollow if on the one side you criticise Trump’s administration for their reluctance to accommodate LGBT people and the rolling back of LGBT-positive legislation, and at the same time stand around drinking champagne with the ambassador who represents that administration,” Copenhagen Pride press officer Thomas Rasmussen said according to Danish LGBTQ magazine Out & About. The organization sent a letter to all four ambassadors declining the invitation and spelling out exactly why they were refusing the invite. The country’s oldest LGBTQ organization, LGBT Denmark, has also declined the invitation citing similar reasons. “We do not want to rubber stamp the Trump administration’s backlash of LGBT rights by our presence. We are aware that the invitations may be perceived as personal, but it must be clear that there is no official participation by LGBT Denmark’s leadership,” LGBT Denmark’s Peder Holk Svendsen told Out & About. The outlet reports that individuals invited to the event are also declining or rescinding their acceptance of the invitation as the boycott grows. Ambassador Gifford was a popular figure in the Copenhagen pride parade as we marched the route with embassy workers. The embassy has said they will participate in this year’s festival but has not confirmed whether or not Ambassador Sands will march in the parade.